Obituary for Robert L. Smith | Langeland Family Funeral Homes, Inc.
Robert (Bob) L. Smith, of Battle Creek, MI, passed away at Bronson Hospital in Kalamazoo, MI with his family by his side on Sunday, October 28, 2018. He was born in DeKalb, IL on September 3, 1951 to Helen Byers, who still survives. Robert was preceded in death by a brother, Jerry Byers and Step-Father, Owen Byers. He is survived by his significant other, Barbara Rust. Also surviving are 3 daughters, Lori Rust, Lisa (Billy) Shive, Kimberly Meneguzzo. He had 5 grandchildren, Laura Metz, Erica (Junior) Pedroza, Stephanie (Jim) Barron, Nate (Sarah) Wolney, Patty Simpson and 7 great grandchildren, Aubri Metz, Vicente Pedroza, Mason Metz, Nora DeBree, Jimmy Barron, Diego Wolney. Also, surviving are 4 brothers, Don (Roberta) Harrell, Terry (Donna) Byers, Ron Harrell, Louis Byers and 4 sisters, Norma (Chuck) Rogers, Janice Beauchamp, Martha Serio, Maria (Scott) Bielski , 1 uncle Jim (Elaine) Walker and many nieces and nephews.Robert bravely served our country in the United States Army in the Vietnam War. He worked for Thurston's as a painter for many years, and was very handy around the house and fixing cars, both of which he often did for others. 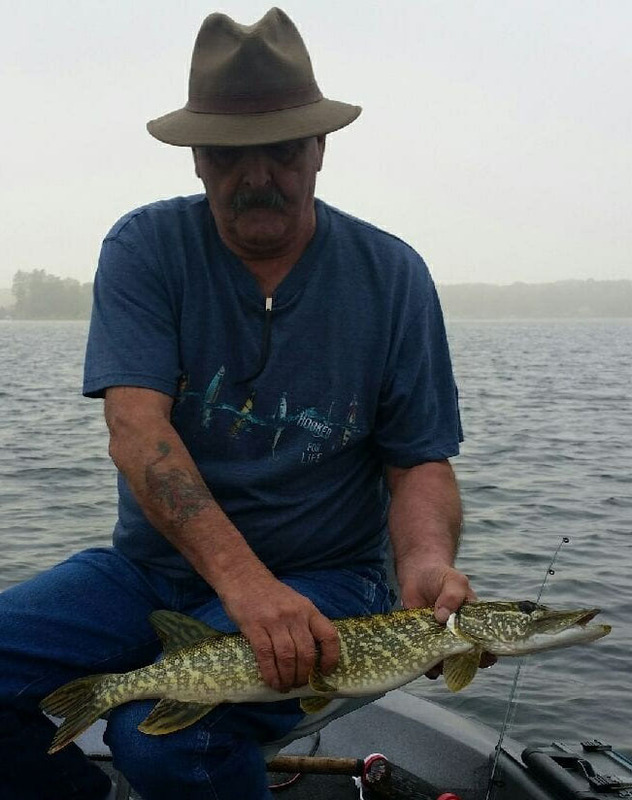 He truly loved spending time with his family, was an avid fisherman and enjoyed watching and attending NASCAR races. St. Judes Place, Memphis, TN 38105 or online at stjude.org donate in honor or memory link- https://www.stjude.org/give.html, Kalamazoo Missionary Church 5045 E Michigan, Kalamazoo MI 49048 https://www.kzoomc.org/donate/.